New York SEO Agency WebMetrix Group Are Proven The Best SEO And Lead Generation Experts In New York City. So Stop Searching For Website Traffic. Get A SEO Company Run By Members Of The Forbes Council, And True Experts In Online Presence And Visibility To Grow Your Business. SEO Services From WebMetrix Constantly Exceeding Expectations. New York SEO is about so much more than rankings. SEO has ceased to be about just being ranked number 1 on the first page of Google. SEO is about increasing your visibility in multiple ways now. SEO is about expanding your online presence and routes of discovery. Increasing your authority, and doing so in a very public way. So that people throughout New York, and wherever else you do business, understand that you are the clear choice for their custom. You get SEO services to grow your business. So you need a SEO agency that properly understands how to, and can, use SEO to generate real, lasting business growth behind you. A SEO agency that will help you craft an amazing online presence. A solid, and highly visible reputation for what you do. And who you are. All over New York. How would you like number 1 best selling experts in the field of marketing, public relations, SEO and lead generation growing your business? Many SEOs talk about being results driven. Yet few SEO professionals are able to even remotely get close to the expert levels of SEO and online presence optimization that the WebMetrix Group can. With leaders on the Forbes Council, and T.V. appearances on CNN, CNBC, Fox News, CBS, NBC and ABC to name but a few. The WebMetrix Group has nationwide recognition in the media as being a major authority when it comes to public relations, SEO and digital marketing. You are searching for the best New York SEO agency to help you. The best SEO expert in NY. Because you value your business, and its long term success. And you know you need, the best SEO and online marketing possible, to help you achieve your business goals. So take your time, and digest what is here. In doing so you arm yourself with the knowledge needed to ensure you get the best SEO agency helping you. SEO used to be about backlinks. For SEO services, until relatively recently, little else mattered. Google has changed the landscape of search results, and revolutionized the way its search engine, its algorithm, works. Now, for SEO, things will never go back to being purely about links. For SEO services, adaptation and the ability to fit to the ever evolving mechanics of Google’s search engine is critical to online success now. Yet there are still SEO agencies convinced that focusing on backlinks and PBNs (private blog networks – SEO which is incredibly dangerous) is the way to work. Google has been removing the effectiveness of those SEO techniques for years. And not just in New York, all over. Never let an SEO professional that uses PBNs do your SEO, EVER. For effective SEO, a lot more is needed. If a marketing professional can go from unknown to industry leader in seven months. Then there has to be something special about them. That is what happened for the WebMetrix Group co-founder, SEO professional, Immy Tariq. Using a process, that can be applied, to get your business the same type of results. The WebMetrix Group founders have developed a real cutting edge SEO strategy. This SEO strategy involves a modernization of marketing principles that have been around for decades. The golden age of the early 2000’s, when everything was driven by backlink creation, has given way, to a much more mature Google. And a search engine algorithm that actually understands what a valuable business looks like. In terms of an online presence anyway. YES, SEO HAS MASSIVELY CHANGED, IN A VERY SHORT TIME! With the advent of the Google A.I. RankBrain, search took a quantum leap. Plus the mass of data Google has on search intent, understanding what people are really looking for when they enter a search term. Along with understanding what a quality business actually looks like, i.e. its profile and online presence. Achieving ranking success, growing your lead generation ability and increasing your website traffic flow, through search engine optimization, has become a very different thing. The reality with SEO and search has become, that to rank well in Google, and gain the lions share of website traffic for your target search terms. You have to have a broad range of visibility to your online presence. And be noted by authorities. Which means that you have to become the authority for what you do. Which is about far more than just getting backlinks. Trust is a huge thing for search engine optimization success now. Staying within the Google Search Console Guidelines is one critical step to this. With paid link schemes being a major violation. Along with irrelevant keywords and numerous other things. Your SEO strategy absolutely has to be spot on, and within Google’s Search Console Guidelines, if you wish to have long-term rankings and grow your business sustainably. Backlinks are still important. They have to be quality links though. The WebMetrix Group has all this factored into the SEO services we have developed. We know how to ensure you’re are seen as the authority. And we do it for businesses, in NYC and beyond, on a daily basis. Unless you have quality SEO foundations for your site, the best results from SEO will be challenging to get. Something that has frustrated many when getting SEO services. In New York and all over. Your SEO specialist has to work to this. We do. There are noted cases of websites going down in rankings, slipping away. Even though more backlinks are added by their SEO agencies. On-page SEO is usually a major contributing factor here. Or the lack of it. On-page SEO, or technical SEO, is something very few SEO professionals have an adequate grip on. And yet on-page SEO is the foundation upon which all rankings really depend. Google has even specified that content is one of the top 3 ranking factors. So at the WebMetrix Group, along with crafting your online presence in other places, we tune your on-page SEO so that every quality backlink we help you earn, is leveraged to the best possible extent. This is only a fraction of the way our SEO services go the extra mile for you. The best websites get the best backlinks. Fact. Being mentioned in online publications like Forbes, Entrepreneur, Huffington Post and others like them can do a massive amount for your business. Being mentioned in places specific to your target audience, will also help you a huge amount. When people like you, and what you do. They mention you. They help you grow. This is a principle that the online marketing and SEO service of the WebMetrix Group works to. We have cultivated some amazing relationships, and bridge gaps that other SEO agencies are unable to even approach. This has enabled us to provide SEO services, to a level way beyond that which others can dream of. It is one of the ways we are able to ensure you become the clear choice. For your target audience. For your industry. For New York and New Yorkers. Are you ready to enjoy the effects of this type of revolutionary SEO service now? Local SEO is the number 1 reason most companies in New York city, along with the wider New York area and beyond, choose to engage a SEO service. Getting your business to rank better, and enjoy the best rankings within a targetted local area, is what local SEO is for. And within NYC there are a lot of businesses, that wish to have the top positions in Google search results, for themselves. Yes, when it comes to SEO New York is very competitive. So having an edge over your competitors is essential. The WebMetrix Group has that edge, and it is unbelievably sharp. Hence the reason we rank as well as we do. The way we do SEO works amazingly well. There is a huge diversity to how Google’s algorithm calculates local rankings now. For New York and every area where people use Google to search. The evolution is constant. Due to the fact that that people get SEO done. The more people use SEO services to enhance rankings, the more Google changes. All to ensure that only worthy websites and businesses, rank in the top spots. Hence the transition from pure link building in SEO, to a more diversified type of SEO service. In New York, and in general where search engine ranking is concerned. Yes, search engine optimzation goes way beyond backlinks now. Content is a critical part of the SEO equation. Quality backlinks are important too. And there are other things with SEO that go beyond the scope of these things. Yet funnel through into them, in a very important way. Search engine optimization has become hugely diverse. Knowing how to, and being able to leverage, those things brings you the edge you need, for achieving top results in New York. Be it within the defined city area, or the wider NY state area. While every business is different. There are certain things that can be common to the SEO strategy for developing their growth. The key point when it comes to SEO strategy, is with the slightly different focus for producing results on a local level. Through local organic search results, Google maps, Siri and a range of other local media. Local SEO requires a very specialized focus for the best results. Because of the connections and SEO experts at the WebMetrix Group, our SEO services are ideally placed to get you results beyond your expectations. We can even help with highly specialized SEO for reputation management during sticky times. And have you come out cleaner, with the amazing reputation you wish to preserve. There are so many amazing ways, in which WebMetrix Group New York SEO services, can help your online presence. These five cities are of course just some of the wider New York state areas we cover. If you are in a city, town or other area, our SEO services can still help your business to grow. Whether you are wanting local New York SEO, or wider national SEO and online marketing help, we can do an amazing amount for you and your site. Initiate the first step in getting the New York SEO campaign which will bring you search engine success, right now. 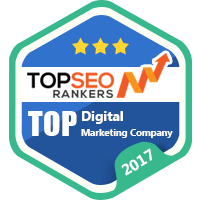 As the top New York SEO agency we are able to do much more than just local rankings. While SEO to help reach your target audience in the local New York area can do a lot for many businesses. There are times when expanding out, on a national level is very much worthwhile for you success levels. If you have your sights set on being the authority. The choice for your target audience, both in NYC and New York state, as well as the rest of the United States. There is a massive amount our experts can do for your business. Our clients, for both SEO and wider public relations activities, have given us amazing testimonials to this effect. New York city need never be your limit. Our ability to work with national media, and major authority development, is something that truly sets us apart. This ability defines the WebMetrix Group as the premier SEO agency. And enables us to get our clients, the best results possible from SEO. Would you like your expectations surpassed? Would you like your SEO services to make you the undeniable market leader in your industry? National SEO and local SEO have subtle differences. Though to be really successful online on a national level, a much greater amount of brand development and brand recognition is required. This is how having the ability to work with key online publications through public relations activities sets the WebMetrix Group apart from other SEO professionals. The WebMetrix Group has the ability to build your brand and online presence in a major way. We have the ability to help you become a real household name. In doing so we are able to surpass the expectations of what is possible from national SEO. This level of service is something which truly distinguishes the WebMetrix Group from other New York SEO agencies. In short our capabilities go far wider and deeper than the capabilities of other SEO firms. This means that we can get you out in front with ease. We can position your business and your site, in a manner that puts you streets ahead of everyone. We can elevate you with such strength, that you competitors would be working day and night, for months, to even try to get close. You might have heard similar things from another SEO consultant. How many SEO agencies do you know that are lead by members of the Forbes council though? We have the knowledge, strength and capability to turn your business into a household name. We have done so for various clients. And all our clients’ testimonials reflect their incredible gratitude, for achieving something they never thought was actually possible. For them. You can be a household name with our help too. You know that SEO strategy has gone way beyond links now. That with the levels of competition that exist, New York SEO and local SEO for other areas has become about more than links and citations. The visibility of your brand and your online presence, has to be wider for Google to raise you up through the rankings now. To get this done you absolutely have to have a diversified online marketing and SEO strategy. One that covers every possibility for generating the strength, recognition and leveraged visibility that is needed. With the volume of businesses getting SEO services done, you have to get an SEO agency that does things differently for you. The spend on SEO in the U.S. is set to be around $80 billion by 2020. You are searching for SEO and help with your rankings. Your competitors are searching for New York SEO too. As mentioned earlier, when it comes to SEO New York is very competitive. We live in an information and data driven society. And in New York people are on mobile devices a huge amount. And everyone wants their business to be at the top of the first page when it comes to rankings. Because the majority of the trust and the traffic goes to your site when you rank number 1. So utilizing access to better sources of getting more prominent placing for your online presence is as you can appreciate, highly worth your while. This is why you would do so well to get in contact with us about New York SEO. For an SEO agency to lay its SEO strategy out on-site, would eliminate various elements of the competitive advantage we offer. You know we have access to major sources of authority and trust that other SEO agencies are unable to access. You know that the Webmetrix Group, was founded by two best selling authors in the fields of digital marketing and lead generation. You know that the WebMetrix Group has capabilities way beyond even our closest competing SEO agency, in New York and much further afield too. So get in contact with us, partner with us, use us as your NY SEO service to generate the massive online success you wish for. New York City SEO Within The Five Boroughs Of The City Area. New York SEO On A Statewide Level Across Places Like Albany And Rochester. National SEO To Drive Your New York Business Into Wider Visibility And Success. The WebMetrix Group has an amazing array of things that can be done for your site. In terms of SEO services and wider online marketing possibilities too. Throughout New York, and wherever you wish to create success. There are some very unique opportunities that await you when you partner with us. For New York SEO, online marketing and so much more. Get the amazing business growth that all our SEO clients experience. Click here NOW. For the best in New York SEO, from pinpoint NYC local SEO, state wide NY SEO, national SEO and serious brand visibility. Online marketing to make you a household name. The Webmetrix Group has the best SEO and online marketing experts you could ever wish for. Here, ready to grow your business in an amazing way. So stop holding yourself back. Get in contact now. And use the highly experienced SEO experts we have, to make your business, the only choice in New York city. And beyond.